Centrally located and close to outstanding nature reserve, wonderful beach and superb golf course. 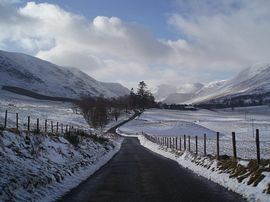 Within an hour of the celebrated Angus glens, the Cairngorm National Park, several Munros, Aberdeen and Dundee - and St Andrews! 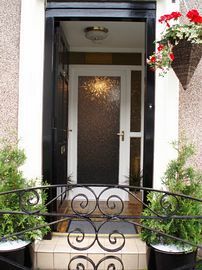 The Haven Bed & Breakfast (formerly The Banks) is centrally situated in the beautiful coastal town of Montrose, Scotland. Terri and Laura, mother and daughter, aim to provide a warm, comfortable and welcoming haven for our guests, whether they be here on business or wishing to explore and enjoy the inspiration that the beauty of Montrose and surrounding areas offer. Of course, those here to work can do both! We have much information available - almost as much as the Tourist Board, having raided them throughout the area and beyond many times [with their willing participation, of course!]. 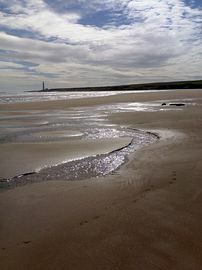 We are close to the sea and a stunning sandy beach as well as local amenities in Montrose, with the train station and shops only a two-minute walk away. The golf course and swimming pool are also a short walk away and the magnificent Basin, a nature reserve of International importance, can be seen at the end of the road. Over two hundred species of birds, some rare [including sea eagles, white-tailed eagles, buzzards, osprey... and over 30k pink-footed geese overwinter here!] can be viewed from the SWT hides and wonderful viewing and information centre. Relaxation, well-being and comfort are our priorities at The Haven Guest House. Rooms are well-equipped with free Wi-Fi, radio-alarms, high quality duvets and bedding, amenity trays, toiletries and remote-controlled TV. Some rooms are equipped with DVD players and we have two available on request if your room is without one. We have always been conscious of the need to protect the environment, particularly when close to such outstanding natural habitats, and do all we can to minimise our impact. We therefore recycle with a passion! Also important to us are compost making, using environmentally friendly products and sourcing organic, free range and locally sourced produce where possible. We are as energy efficient as possible and in touch with current advice on energy efficiency in particular regard to our business. Health and Safety are naturally among our prime considerations. Single Rooms: £25.00 - £30.00 per person per night. 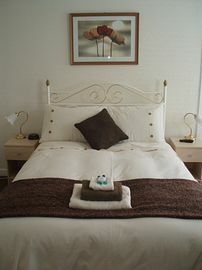 Double and Twin Rooms: £55.00 per room per night. Discounts are available for stays over three nights and longer term bookings. Please enquire for further details. Pet Facilities: Pets are not allowed. Sorry, we do not accommodate pets. Smoking Facilities: Smoking is not allowed. There is a sheltered area available to smokers at the rear of the house which guests are welcome to use. Special Diets Provision: Special diets are catered for. Food intolerances/sensitivities, vegetarian/vegan. Please inform us at the time of booking and we shall be more than happy to assist where possible. Disabled Facilities: There are no disabled facilities. Please let us know your requirements and we shall be more than happy to assist where possible. "Terri and Laura have created a Haven which lives up to its name!" "Top quality sausages!" "Excellent accommodation. Lovely room, comfy beds. So peaceful. Good breakfast. Thank you" "Extremely friendly reception, Terri and Laura made us both very welcome. Will be back!" "Very good - friendly, welcoming. Excellent breakfast!" "Best ever B&B"
Aberdeen and Edinburgh Airports are within driving distance. There is a regular train service from Edinburgh, Glasgow and Aberdeen, which stops at Montrose. There are regular bus services from Aberdeen and Dundee and to outlying areas. 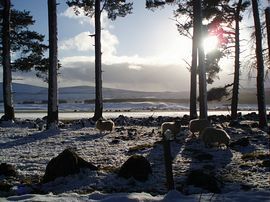 Montrose is 40 miles south of Aberdeen and 30 miles north of Dundee on the A92.